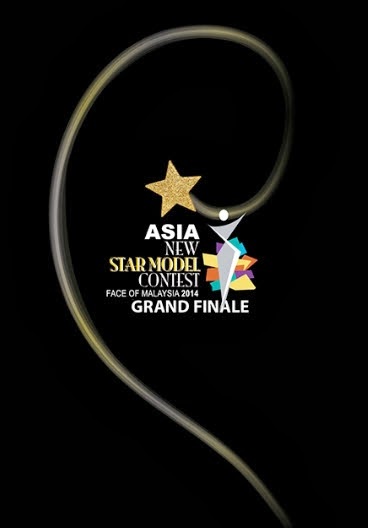 On the evening of 29th November 2013, the lives of four extremely promising star models will be transformed forever at Paradigm Mall, during the conclusion of the Asia New Star Model Contest 2014 - Face of Malaysia (FOM)! One female and one male winner, together with their respective first runners-up, will receive the honour of representing Malaysia this coming January in Seoul, Korea, for the annual Asia New Star Model Contest (ANSMC). Proudly presented by Paradigm Mall, the FOM aims to discover the next crop of top star models in Malaysia who are not only bestowed with the talent of modelling, but also possess potential star qualities. Aside from resident judges Amber Chia and Benjamin Toong, the esteemed panel of judges for the grand final will also consist of President of Korea Po Makeup Association: Ahn Mee-Ryu, International Director of Korea Model Association (KMA): Raulen Lee, as well as Advertising & Promotions Manager of Paradigm Mall: Lew Wen Feng. Originally, only one female and one male representative will be sent to compete at the ANSMC, which will be held in conjunction with the prestigious 9th Asia Model Festival Awards. However, after having personally seen the potential in the finalists, representatives from the KMA applauded the quality and decided to allocate additional slots for one more female and one more male representative from Malaysia. This marks the third year running in which the ANSMC will have representatives from Malaysia competing for an excellent opportunity to make their debut on a global arena. From over 500 online applicants, 100 were called back for the live audition, but only 20 were named as finalists. After stages of challenges and eliminations, only the last 14 standing are in the running to become the next Face of Malaysia. After about three months of whirlwind activities - which included live auditions; debut appearances at a press conference; makeover session; professional training sessions covering basic makeup, basic hair styling, the art of posing, and catwalk; challenges involving photo shoots, runways, styling, hosting, and video commercials - it all culminates in this grand final show down. For the first time ever, FOM also took on the form of an online reality show this year, where te webisodes will be aired on its official YouTube channel [AMFA Malaysia - http://bit.ly/1ecrx7r ] between 27th September 2013 and the first week of December 2013. Apart from their all-expenses paid trip to Seoul, both the female and male winners will also become the 2014 faces of Paradigm Mall, in which they will be walking as celebrity models for the Paradigm Mall Fall/Winter 2013 fashion week. Additionally, they will each also walk away with products worth RM2,000; return Air Asia tickets to Hanoi, Vietnam; modelling courses from Amber Chia Academy; and a fashion spread with Keith Kee Couture. “This marks Paradigm Mall’s second installation of Paradigm In Style and we are proud to be working together with Amber Chia Academy to host the Asia New Star Model Contest 2014-Face of Malaysia. It is our pleasure to work with Amber, one of Malaysia’s most recognized celebrities, in conjunction with Fall/Winter Fashion Week and we are positive our shoppers will be thrilled as well. We will continue to host more of such exciting events!” says Mr. Kenny Wong, Director WCT Holdings Berhad & Paradigm Mall. The Asia New Star Model Contest 2014 - Face of Malaysia is proudly supported by Paradigm Mall as the title presenter. Other generous sponsors include Air Asia (Official Carrier), Arirang Korea’s Global TV, Amber Chia Academy (Official Makeup Academy), Runway Productions (Official Event Company), Sapporo (Official Beverage), Butter Factory, Philips, Premiere Hotel Bukit Tinggi, Occam Studios, Celeb Trendz (Official Hair), Real Pixel Studio, D’italiane Kitchen, Kitschen, Keith Kee Couture, A Loft of Things, Aim Max Media, Custom Made, and Manoah Consulting.